Don’t Let Jack Frost Wreak Havoc on Your Skin! 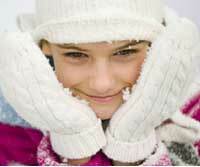 Follow These Tips for Winter Wonderful Skin! As a LA-based dermatologist, Dr. Khadavi sees the emotional impact that good or bad skin can have on a person’s well being. He understands all too well that when we look better on the outside, it can help us to feel better on the inside. Taking good care of your skin is one of the most important aspects of maintaining a healthy and youthful physical appearance. A great deal of skin health is related to personal hygiene habits, lifestyle and environmental factors. The latter is something that we have less control over. There generally isn't severe winter conditions in Southern California, but Dr. Khadavi often helps people that are dealing with skin issues related to too much sun exposure and environmental pollution. Every area of the world carries its own unique external stressors on the skin. It's difficult to escape your environment, but that doesn’t mean we have to allow our skin to fall victim to Mother Nature. Our skin is one of the largest and most visible organs on our body, and it’s very vulnerable to extreme cold. This is why Dr. Khadavi has created a list of ways to safeguard yourself against the cruel blows of winter – both indoors and out. The sun: Remember that harmful UVA and UVB sunrays exist everywhere and every time of year. While cloudy winter days can filter out UVB, the more dangerous UVA rays are still reaching your skin. If there’s snow, the reflective rays of the sun are hitting your skin from all angles. Even in winter, be sure to wear sunscreen containing zinc and titanium dioxide. The air: During wintertime, decreased humidity and heaters dry the skin. It is best to use lotion liberally all over the body multiple times during the day. Showering: Don’t put soap all over your body when you shower. It’s best to use soap only under arms, groin area and feet. These areas have bacteria which cause odor, but sweat and dirt on other areas get washed off with the water. Like soap, shower gels also dry out the skin and should be used only on the same areas as the soap. Remember that shower gels have a pH balance close to soap and can also strip away the top barrier of your skin making it itchy and red. Don’t stay in the shower too long and don’t wash your skin too often. If you have dry skin, take showers every other day. If your back is itchy, don’t have the shower hit your back. Have it hit your chest instead. Lotions and Moisturizers: Apply body lotion right after you get out of the shower while skin is damp. Also applying lotion before you shower will prevent the drying effect of soap and hot water on the skin especially for dry areas like the feet and back. If your skin is so dry that your lotions absorbs immediately. Apply a very thick layer of lotion on your skin. Afterwards, put Saran Wrap over the skin and sleep with it overnight. Eat, Drink and Rest: Combine all of the tips above with getting a good amount of water, nutrition and sleep. By the way, seven to eight hours of sleep is critical to look and feel youthful. We may not have a lot of control over where we’re living and the climate of that area, but we do have the ability to educate ourselves so that we can protect and offset nature's havoc on our skin. This way we can look and feel good about our appearance any time of year.